I was looking for something slightly different – and vegan. Something that loaded up a bagel into a filling-dripping meal: lots of protein, a textured mix with a shift in flavours as you make your way through the bagel. Open up the bagel and place rocket (or your favourite leaf on either side). Get a bit of salt and pepper on for taste at this point. Now spoon up the bean and humus mix on one side, topping with red onion and a spoon of Heart Veganaise. 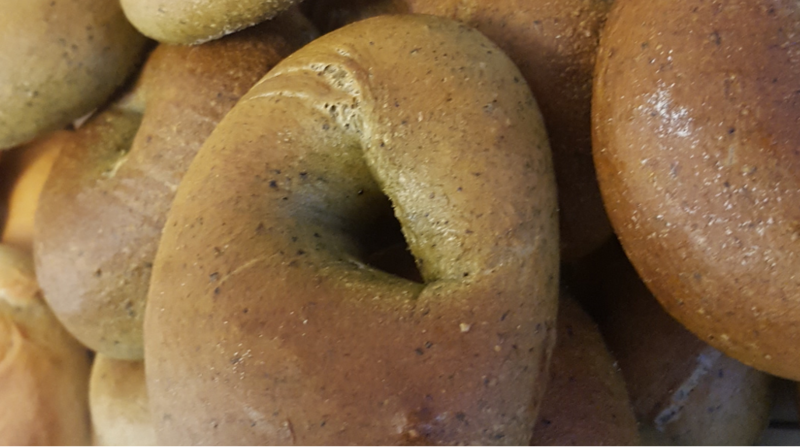 This will be the vegan option at the November Bagel School, so to test the filling and have a fun day learning to make bagels like this, book now.